Over the past few months, Bangalore – India’s Silicon Valley and home to roughly 11 million people in the south – has seen its police force attempt to drastically revamp its image by adopting a meme-first approach to its social media channels, riffing on pop culture trends and phenomena while raising awareness about civic duties and law enforcement efforts in the city. By drawing on Game of Thrones and Narcos references to draw citizens’ attention to the dangers of jaywalking, the need for bikers to wear helmets and the importance of staying away from drugs, the Bangalore police hope to reach young people more effectively and change their perception of law enforcement agents in the city. To achieve this, local police roped in Chethan Hiremath and Dheeraj Gowda – budding young social media managers who’ve previously worked with numerous food and beverage brands – to take over its accounts. It was their decision to introduce humor into the police force’s messaging online. Their strategy seems to be working: across numerous channels including Facebook, Twitter and WhatsApp, the force claims to have garnered more than four million followers. That’s a massive achievement, and it should certainly help police reach more people in the event of civic unrest, as well as during peaceful times. But the real challenge is in becoming a more effective police force: As of last year, Bangalore was ranked as the third most unsafe city in India, after New Delhi and Mumbai. Granted, that has a lot to do with the fact that it’s also third largest city in the country by population – but what good is public outreach if you can’t keep people safe? Having been born in this city and lived here all my life, I have mixed feelings about interacting with local police. In several encounters with them, I’ve been asked for bribes so I could be let off a traffic violation or a noise complaint from the neighbors. I’ve also heard from numerous friends and family members that they weren’t allowed to file First Information Reports (FIRs) in cases of theft, break-ins and sexual harassment, because the cops didn’t want to deal with all that extra paperwork. A clever meme can’t fix those problems. Unless the police’s adoption of a new social media strategy is paired with efforts to actively engage with the community and address factors that lead people to get involved in criminal activity, this won’t achieve much more than make for a fun slide in a presentation on the police’s performance. 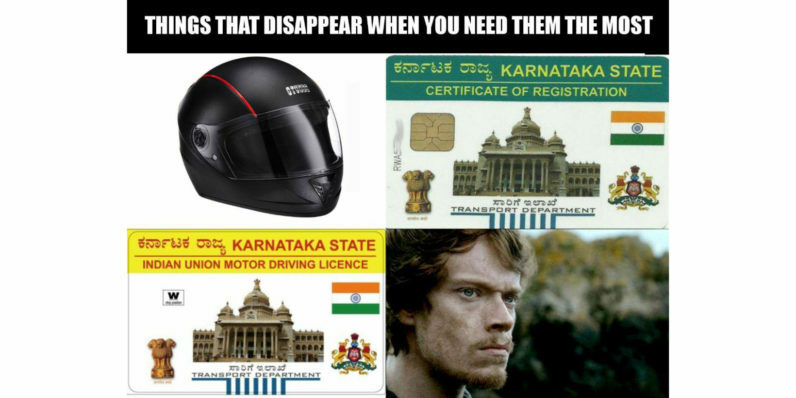 Bangalore police say they are working towards introducing more community policing programs at present, but the situation doesn’t feel any different than it did before they stepped up their meme game. To be fair, that’s not in the social media agency’s purview. What it can do is work towards initiating conversations between citizens and the police, so as to understand the problems that people face at a hyperlocal level and make them feel comfortable approaching law enforcement when they’re in danger.